Perhaps the most frequently asked question that we get here at Traveling Mailbox is, how secure is an online mailbox? The privacy and security of our customers is our top priority here at Traveling Mailbox. We guarantee that your private information will remain private and confidential while your mail is in our hands. In addition, with an online mailbox, your mail will arrive in a secure facility instead of sitting in your mailbox out by the street until you get home. We are Authorized – Traveling Mailbox is authorized by the United States Postal Service to receive your postal mail. We work closely with the USPS to ensure that you mail is handle securely. You tell us what to do – When your postal mail arrives, we will scan the outside of the envelope. You can then decide what you want us to do next. We will not open and scan your mail unless you tell us to. Your confidentiality is protected – Traveling Mailbox has worked extensively on setting up a secure facility and online programs with regular backups of your data and constant monitoring to ensure your data stays secure. Your Postal Mail is Secure – Instead of your postal mail being delivered and left in your mailbox out by the road, your mail will arrive to us and immediately be secured and under video surveillance. We Intelligently sort your mail – As your postal mail arrives, it is given a unique barcode identifying it. This barcode will follow your mail wherever it goes ensuring we keep track of it at all times. Secure Shredding – All mail that is requested to be shredded by you, is shredded on site. This includes mail that is sensitive and mail that is not. We do not take any chances with your mail and we ensure that all mail is shredded to maintain complete confidentially . 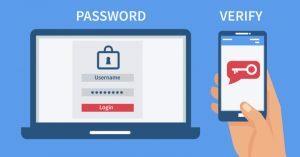 Multi Factor Authentication Options – Secure your Traveling Mailbox beyond a typical username/password setup by deploying Multi Factor Authentication Options via a SMS Text or an Authenticator App of your choice! Since 2011, Traveling Mailbox has built a world class facility for its operations. Our facility has automatic generators standing by in the event of a power failure and are fed by Natural Gas. This means we can run for as long as necessary during the event of a loss of power for an extended period of time. Our facility is fed by multiple fiber optic lines providing internet connectivity with an ample amount of bandwidth to power the needs of our customers. Our facility is fully multi-homed with our own IP Block. Our facility has someone on site 24/7 for security and is under full audio and video surveillance including inside and around our facility. Our facility also has facial recognition cameras in key areas and multiple alarm systems. Are the employees that scan my mail given background checks? Yes! Traveling Mailbox employs high quality team members for mailing handling and scanning. In fact, most of the employees we know personally which allows us to maintain a positive working relationship with our team members. Is Traveling Mailbox HIPAA Compliant? Yes! Traveling Mailbox is HIPAA Compliant and BAA’s can be issued. Do you open my mail? Only if you tell us to. When your mail arrives, we will scan the outside of the envelope so you can see what you have received in your mailbox. Then you can have the item opened and scanned or forwarded without ever being opened. Both! We accept credit card and debit cards plus PayPal. Yes! All Traveling Mailbox sites deploy Extended Validation certificates (that is why your address bar turns green) and are equipped with 256 bit encryption (bank level security).